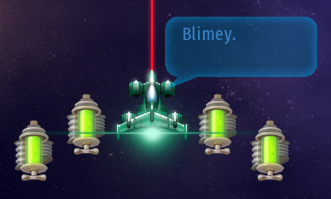 By the way, I’d like to see the message bubble color change depending on your engine color. Maybe it will be better if we don’t tie it with engine colour and customize it separately. Well, there’s already a ſhield colour. That could control both. Or it could be linked with HUD color if iA ends up adding HUD customisation.